Engage with international markets, approach multilingual audiences & take your company global with our expert localisation and website translation services. This form collects your name, email address and other contact details so our team can contact you regarding your translation requirements. Translation services 24 is one of the leading and fastest growing language agencies based in London and an expert provider of marketing and website translation services available in over 200 different languages. With many years of experience working with a variety of clients, from London based SMEs to large, multinational organisations, we have developed a translation process which guarantees high accuracy, localised approach and fast turnaround times, without affecting competitive prices. Throughout the years we helped some of the world's largest businesses and organisations in translating their websites, localising their online content and ensuring that the message they want to put across to their consumers is clear and suitable in the target market. Translating and localising your website may seem like a difficult and daunting process, nevertheless, with our help, it has in fact never been easier. We provide professional website translation services for companies and organisations wanting to reach foreign markets and communicate with their new, potential customers. Here at Translation Services 24, we understand that approaching and communicating with multilingual audience is inevitable for a company which aims to trade internationally. In order to succeed, it is essential for such company to be able to effectively communicate its message to customers in their native language. In a fast paced digital world, website translation must be considered as a part of a long-term strategy and business development. Over 200 languages from every corner of the world covered! Although in many ways website translation and website localisation can be considered similar, there are some major differences between the two services. Translation, usually, refers to a word-for-word language conversion which provides your website visitors with vital information. Website localisation, on the other hand, goes beyond this and also takes into account other factors which might influence a customer visiting your website, such as colours, imagery or design. Depending on your target language, it may be necessary to modify some elements of your website, such as currency, time and date formats or design, in case of right-to-left reading languages such as Arabic. Luckily, we can take care of it all. Should I translate my website? Did you know that only about 30% of internet users speak English as their native language? It is however estimated that over 25% of customers within the EU now purchase goods online from a foreign country. These figures show true the potential which lies in the digital world. In fact, a recent Eurobarometer report shows that over 90% of internet users in the European Union visit websites in their own language when given a choice of languages! In our globalising world, it is absolutely essential to take good care of potential customers by providing them with an accurately translated website. 56.2% of consumers said that the ability to obtain information in their own language is more important than price, (Common Sense Advisory). Our agency has in the past worked with some of the largest companies and organisations, helping them in approaching foreign markets thought website translation and localisation. We understand that this can be a very stressful process for you and therefore we will always allocate a dedicated translation manager who will help you and answer any questions you might have. Additionally, we work with almost any major file format, making the process as straightforward as possible. We work with websites as well as provide marketing translation services and software translations for a variety of other materials. We know exactly just how much time and effort it takes to make a website organically visible to customers. Translating and localising your web pages without the multilingual SEO in mind could mean that your website’s performance will struggle in foreign markets. Here at TS24 we can not only localise your website, but also the keywords and content, ensuring that your global web presence isn’t jeopardised. 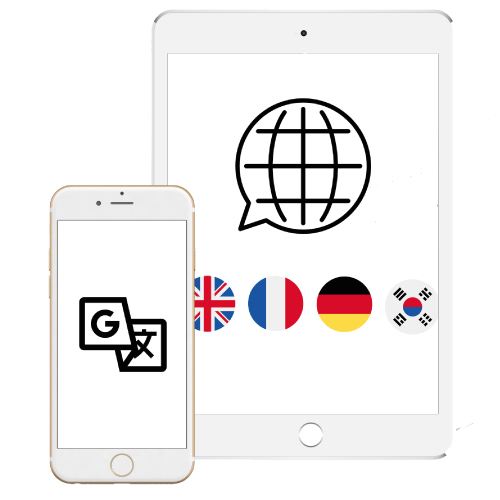 We have established our name as one of the leading translation agencies based in London, specialising in translating and interpreting websites and marketing material. We work with the most talented and experienced linguists and translators, who are not only the native speakers of your target language, but also have many years of first-hand experience within the digital marketing, SEO and website development sectors. 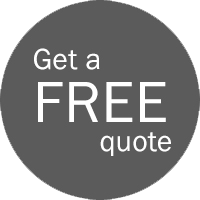 For a free quote within 30 minutes, get in touch with us today!